Hi everyone, today I’ve challenged myself to use a different colour palette when colouring flowers as I have been favouring the same palette for a while now. It isn’t always easy to step out of your comfort zone but it can prove worthwhile. I’ve gone for an orangey brown colour palette with my use of Calypso Coral, Pumpkin Pie for the flowers and Old Olive for the leaves. I was pleasantly surprised by how much I like this combination. 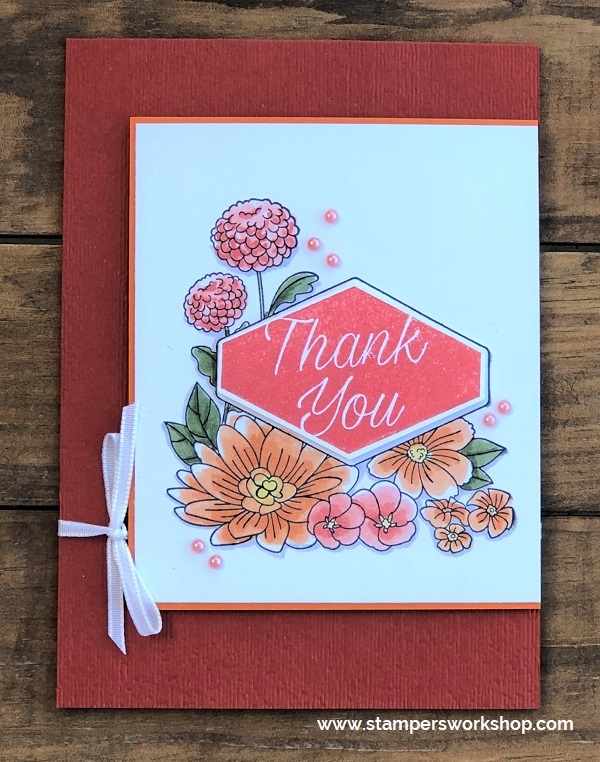 To create the card, all you need to do is stamp the main image from the Accented Blooms stamp set and colour in with your preferred colouring method. 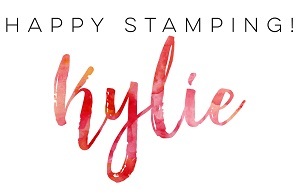 In this case, I chose Stampin’ Blends! I then stamped the sentiment in Calypso Coral before punching it out with the Tailored Tag punch (isn’t this a great punch?). I decided to step away from my usual centred panel and put the main panel on the right-hand side of the card base. I used the cute Share What You Love Artisan Pearls to finish off the card. They are so cute, have you seen them? I hope you will think about challenging yourself to try a different colour palette the next time you stop to craft! Hi everyone, today I am sharing a card which features the Accented Blooms stamp set. One of the reasons I purchased this stamp set was because I LOVE the solid sentiment stamps. They look so lovely. The other little benefit is that they also coordinate with the Tailored Tag punch. It is easy to punch out the sentiment if you want to pop it up with Stampin’ Dimensionals. It is so easy to make this card. Simply stamp the image and colour it with the medium of your choice. 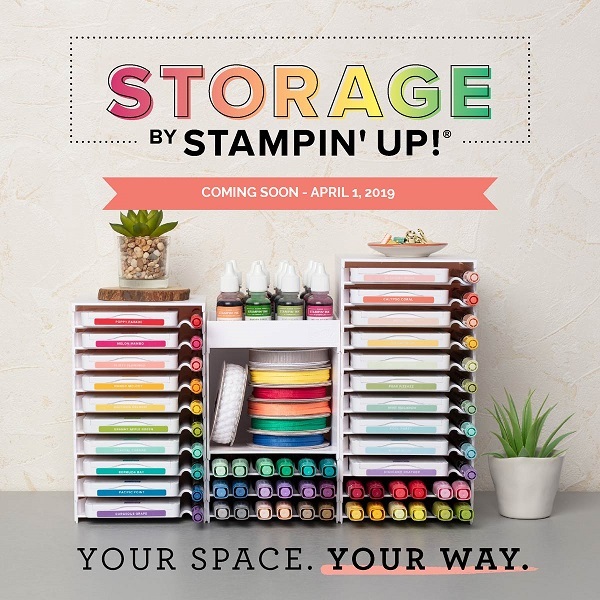 Of course, you know I chose Stampin’ Blends. After trimming the panel to size, I decided to add a strip of the Botanical Butterfly patterned paper to the top and bottom (I love how this looks!) before adhering it to the card base. I did run the card base through the Big Shot as I wanted to use the Subtle embossing folder to add texture. 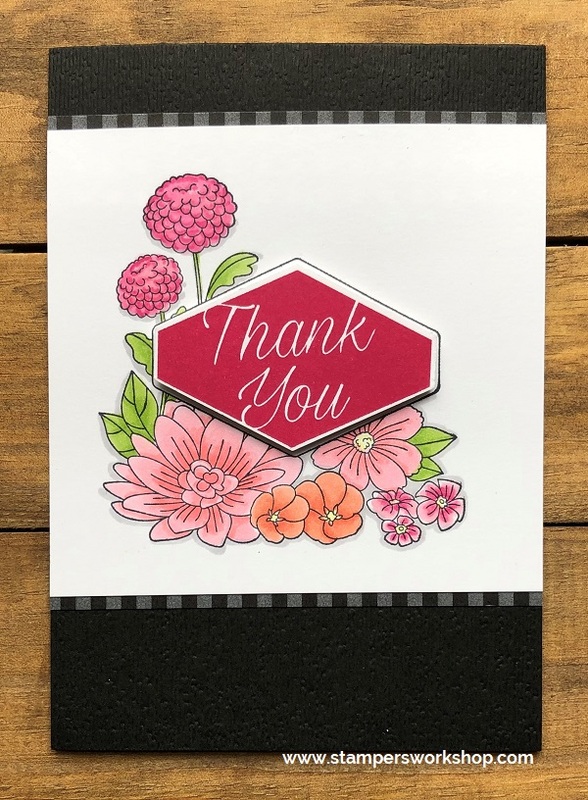 The Accented Blooms is such a pretty stamp set and of course, you can always use the sentiments with any other stamp set.